If you’ve ever tried to whiten your smile with over-the-counter whitening products, you may have found the results disappointing. Stains caused by wine, tea, coffee, tobacco, aging, soda, and even some medications don’t always budge easily. But if you’ve had trouble in the past with some teeth whitening products, don’t give up hope. The Zoom! Whitening system is a revolutionary, in-office teeth whitening procedure that can produce dazzling results. It’s safe, effective, and fast—very fast. In just over an hour, your teeth will be dramatically whiter, making Zoom! Whitening ideal for patients who want immediate results. Here’s what you can expect when you come in for treatment. First, our team at Smile Care Family Dental will make sure you’re completely comfortable. We’ll double check with you to make sure you don’t have any questions you’d like to raise. Then, after a brief preparation to isolate your lips and gums, we’ll apply the proprietary Zoom! Whitening gel to your teeth and activate the whitening power with a specially designed light. Treatment takes about an hour to complete. We’ll finish up with a five-minute fluoride treatment. One treatment can leave patients with teeth that are as much as six to ten shades brighter than they were. In addition to offering in-office teeth whitening, Dr. Parveen Sultana also offers take-home teeth whitening trays, which are custom fitted, and professional teeth-bleaching gel. The trays are comfortable enough to be worn night or day, during conversation, working, sleeping, and daily activities. We will provide you with instructions and a chart with recommended treatment times. See Dr. Parveen Sultana’s teeth whitening results here. Most of our Zoom! Whitening patients use a take home whitening kit for periodic touch-ups. The combination of these systems can provide immediate and lasting results. 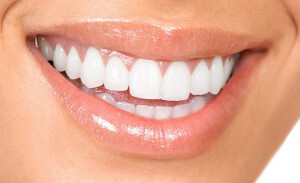 Others, however, simply find take-home teeth whitening to be the most comfortable option of the two. It all depends on your needs and what’s more comfortable for you.